This is our response to the challenging efforts of keeping ALL Emergency Services safe and provide a level of protection the same as our Law Enforcement WITHOUT having to mimic the look of Law Enforcement or a SWAT/Tactical Team. The OSS Fire Rescue/Medic Rig is designed to mimic the typical Turnout Coat worn by all Fire/Rescue. This rig is designed to distinguish between a Police response and a Fire/Rescue Response. Although both need the protection level on Active Shooter scenes, they have much different responsibilities and functions be it assigned to an outside perimeter awaiting an all clear or inside a hotzone with Law Enforcement actively treating victims. The typical armor response gear being worn by Firefighters, Paramedics and EMS typically mimic a Law Enforcement Officer. 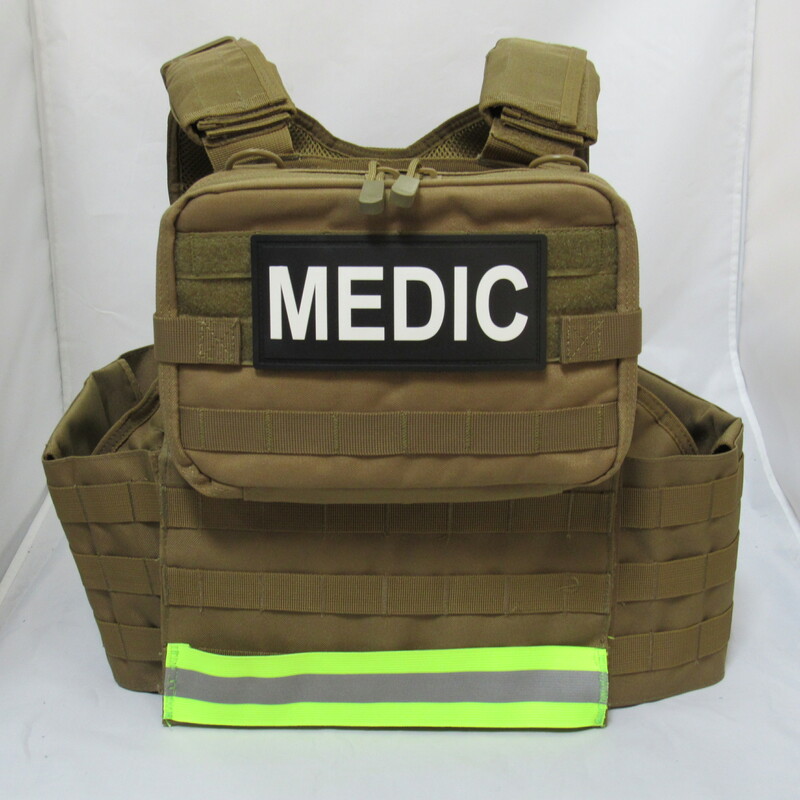 Now with the OSS Fire/Rescue/Medic Armor Rig, Firefighter and EMS can remain as being seen as a medical response and "NOT", SEEN AS UNARMED LAW ENFORCEMENT. In a suspects psychological state he may be inclined to take out the easy targets if afforded the opportunity and a Firemen that resembles a Policeman due to the similar color and style of uniform and external armor carrier, is seen as an easy target because they are visible unarmed. Rig comes complete with a Tactical Medic Chest Rig (fully stocked).